Of the 490,222 workers in Hamilton County, 39% of them are commuters from outside the county. This is according to data released by the U.S. Census Bureau. Compared to other similarly sized metropolitan areas, this is a larger than normal percentage. In Cuyahoga County, home of Cleveland, for example, only 28% of the almost 700,000 workers commute from outside the county; and in Allegheny County, PA – the center of the Pittsburgh metropolitan area – that number is 22% of more than 680,000 workers. The difference, some say, may be attributable to the fact that the Cincinnati region’s job center sits directly on a state line, and borders three counties in Northern Kentucky. However, in Jefferson County, KY, with a similar amount of workers in the county as Hamilton County, only 26% of employees commute from outside Jefferson County. This is in spite of the fact that Louisville sits directly on the Ohio River, like Cincinnati, with commuters crossing the state line from Indiana each day. 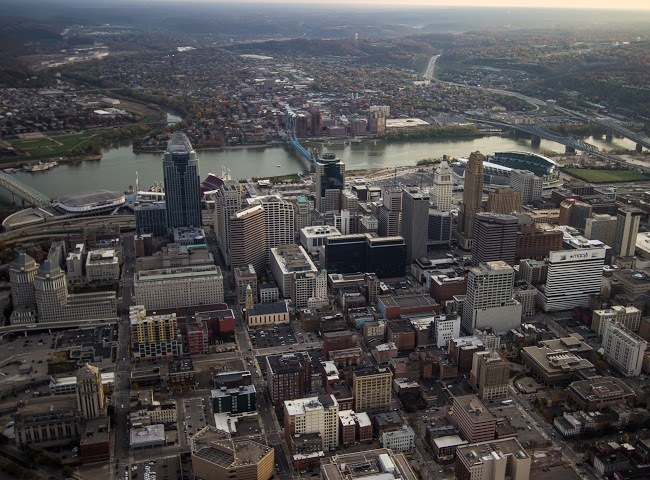 Perhaps further explaining the matter is the merging of Cincinnati and Dayton’s economic activities, which increasingly promote cross commuting between Cincinnati’s northern, and Dayton’s southern counties. Such commuting patterns complicate transportation management for regional planners. Not only does it mean heavy rush hour commutes, but also more unpredictable reverse commutes. While Hamilton County was a bit of an outlier, it was joined by Davidson County, TN (Nashville), and St. Louis County, MO (St. Louis) with similar complex commuting patterns.